Each tree is crowned by a woven tension structure of organic rope and bamboo connecting the trees to the sky and the wind. By cutting a series of slots in a spiral pattern around the bamboo, tens of aeolian flutes were created, creating an ebbing overtone of sound that responded to the wind. At night, an interconnected RF network of controllers controlled a mesh of climbing LED strips and projectors. This lighting system, in turn, was connected to wind and motion sensors, gently responding to the wind and the presence of participants. After providing the spiritual center of the event for the participants the Forest of Creation was successfully burnt. At he eclipse of 2015’s summer, a few months after Midburn 2015’s celebration we were asked to build an installation for Midburn's decompression party. The theme was Time Travel so pretty fast the theme was set on building a time tunnel. The settings was a huge amphitheater which it’s surroundings were to be a playground with music, installations and art and it’s inner was to be the main event with music, DJs and performances. We were tasked with creating the entrance to that main area through 3X3 meters, 40 meters long tunnel going underneath the terraces in the middle of the shoe horn shaped gallery. The main concept was to create a sense of movement through a worm hole by layering the walls with sheets of fabric twisted in a spiral shape along with perspecs cubes hanging throughout the tunnel giving the sense of detached particles floating in space. The installation explores the urban life as a constant pursuit of the unattainable. We use light as our material, like painting a graffiti on a wall. 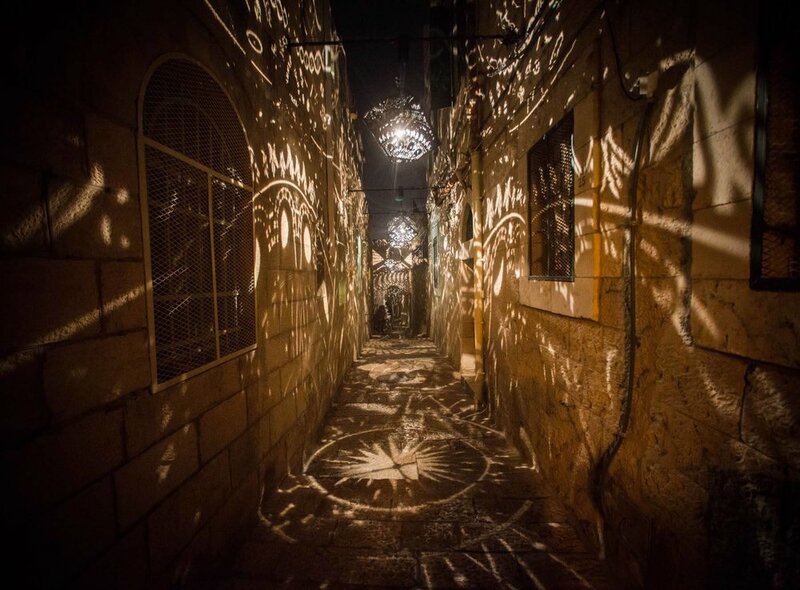 Swirl moves with the crowd and paints the alley with live images of light. 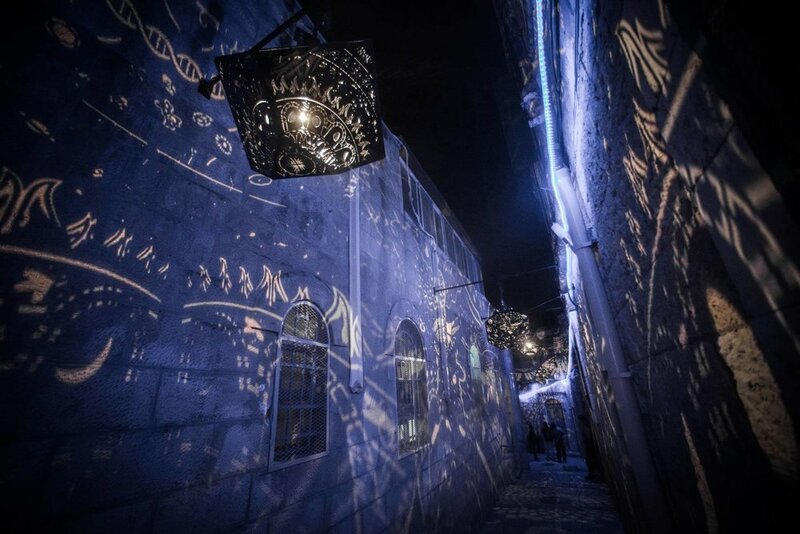 Swirl was first presented as part of the Jerusalem Light Festival in one of the old city's alleys . The installation senses the crowd and swirls as people pass it creating an interaction with human presence. There were various challenges in the making of Swirl from designing its patternes, 3D printing various materials to investigate which one gave the most detailed light spreading and the motion mechanisms to detect human presence. 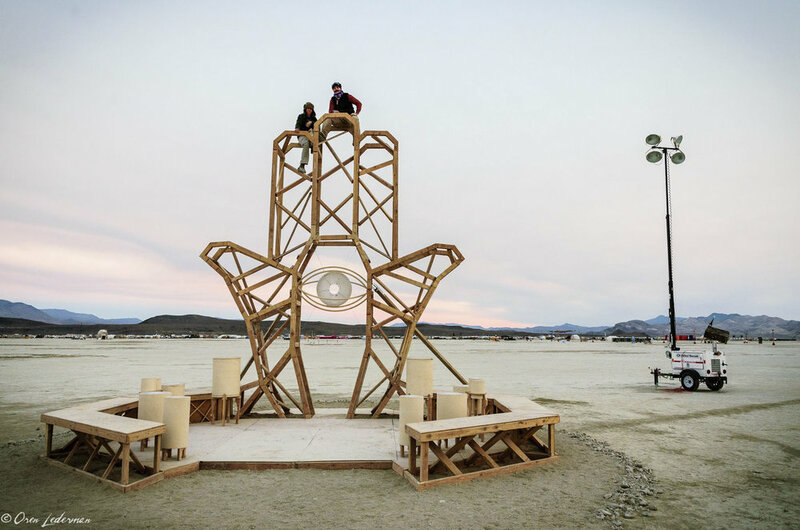 For Midburn 2016 we decided to build a huge parametricly designed structure. Beeming with lights in the night and cooling shade during the day this was our home for the week and our gift to the playa. It housed many activities from relaxing meditation to mind blowing parties. 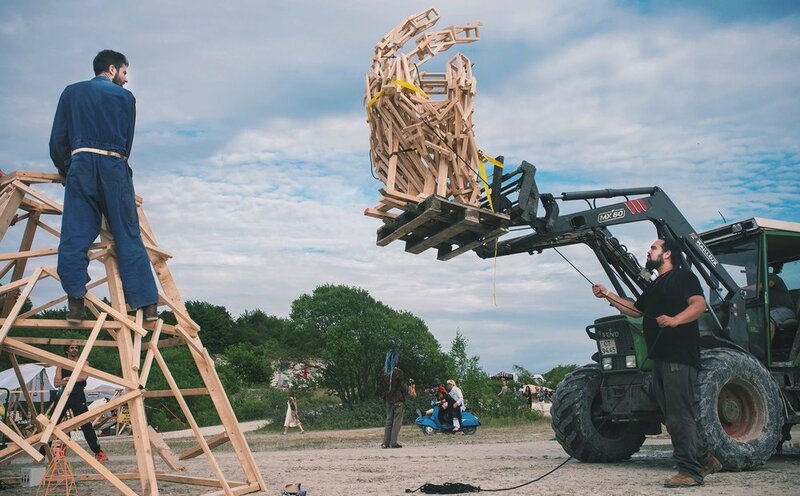 Fugara's 2016 camp was a 3 legged steel structure specialy crafted to hold a 2 floors in which participants can relax and take a look at the playa from above. The structure was covered with wooden boards which were milled according to 3D models which we created using Grasshopper for Rhino.